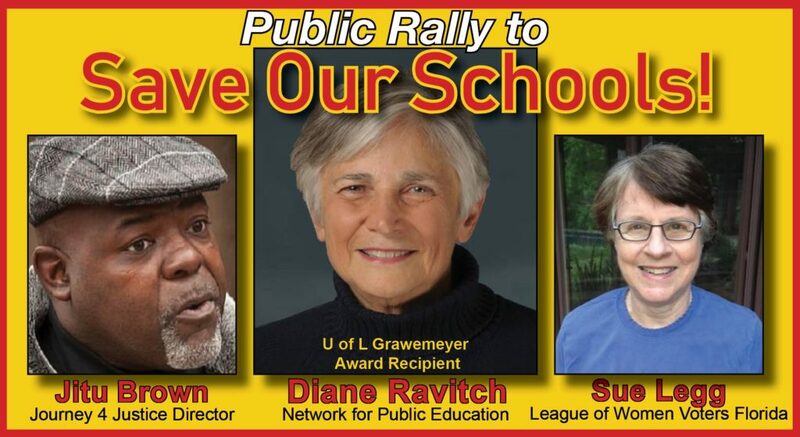 Diane Ravitch is the former assistant secretary of education under Lamar Alexander (1991-1993) and was a staunch proponent of today’s most popular ideas for restructuring schools, including privatization, standardized testing, punitive accountability, and the feckless multiplication of charter schools. In a stunning about-face in 2010, she published The Death and Life of the Great American School System – How Testing and Choice Are Undermining Education, followed by Reign of Error – The Hoax of the Privatization Movement and the Danger to America’s Public Schools in 2011. In 2013, she co-founded Network for Public Education, which fights to save our public schools from privatization and corporate reform. Jitu Brown is a Chicago native and community organizer who serves as national director of the Journey for Justice, an alliance of grassroots groups fighting against privatization and for sustainable community schools in 30 cities. Brown has been an education activist for the past 26 years. In 2015, he led a successful 34-day hunger strike to prevent the closing of Dyett High School in Chicago’s south side. Sue Legg is the former education chair for the League of Women Voters in Florida. She writes the education blog for the League of Women Voters of Florida, which is followed by members of other Leagues and non-members, as well. A one-time public school teacher, Dr. Legg later directed the Office of Instructional Resources at the University of Florida. While there, she managed several statewide K-12 and college assessment programs for Florida’s Department of Education. Dr. Legg served two terms as chair of the College Board National Advisory Committee. She also directed the Partnership in Global Learning, a consortium of universities in Brazil, Mexico and Florida to collaborate on instructional design for online learning.